We all know that breakfast is the most important meal of the day. Tell that to a 10 year old, who quite simply has no desire to eat anything at 7:15 in the morning. 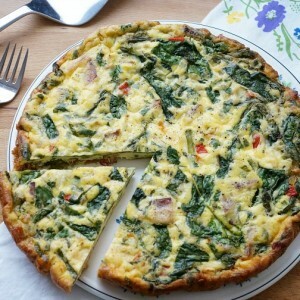 Is the breakfast battle real in your house? Mornings are a flurry of activity and getting something quick, healthy and delicious into a child can be a real challenge. 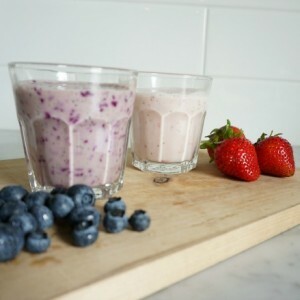 Two meal options that have worked in our house are – fruit smoothies and granola and yogurt parfait with fresh fruit. Smoothies are great, but I don’t find them to be the quickest breakfast option around. 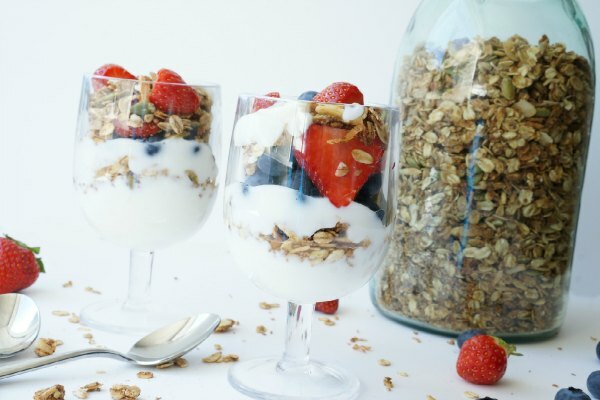 On the other hand, granola parfaits are simple to make. 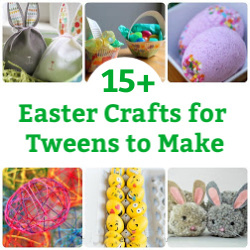 In fact, my kids love making their own. 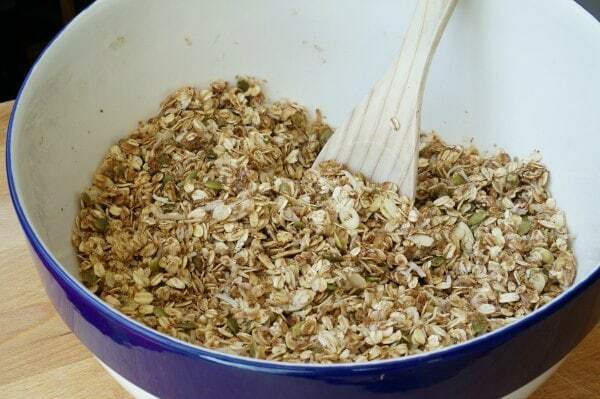 By baking a bulk batch of granola on the weekend we are prepared for a week of busy mornings. The best thing about homemade granola is you can control the sugar and fibre levels. Kids can’t taste ground wheat germ and flax seed. 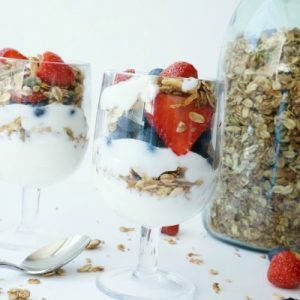 Follow your child’s tastebuds when selecting the seeds and nuts you add to the granola and they will love constructing their own parfaits for breakfast. Breakfast battle won! 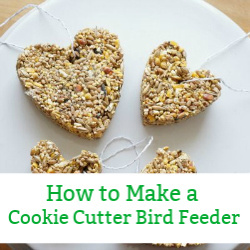 In a large bowl, combine dry ingredients together (oats, flour, almonds, pumpkin seeds, coconut, flax, wheat germ and cinnamon). In a small bowl, whisk together wet ingredients (vanilla, water, oil and honey). 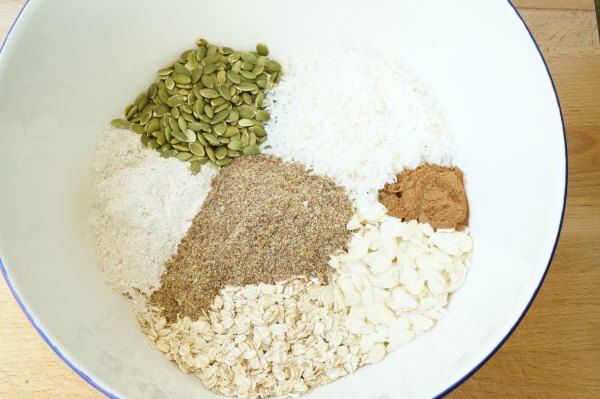 Pour wet ingredients into bowl of dry ingredients. Stir until dry ingredients are moistened. Spread granola on parchment paper lined baking sheets. Spread in a thin layer, 1/4″ thick. Bake in 250°F oven for 2 hours. After 2 hours, remove from the oven, let cool and store in an air tight container for up to 2 weeks. 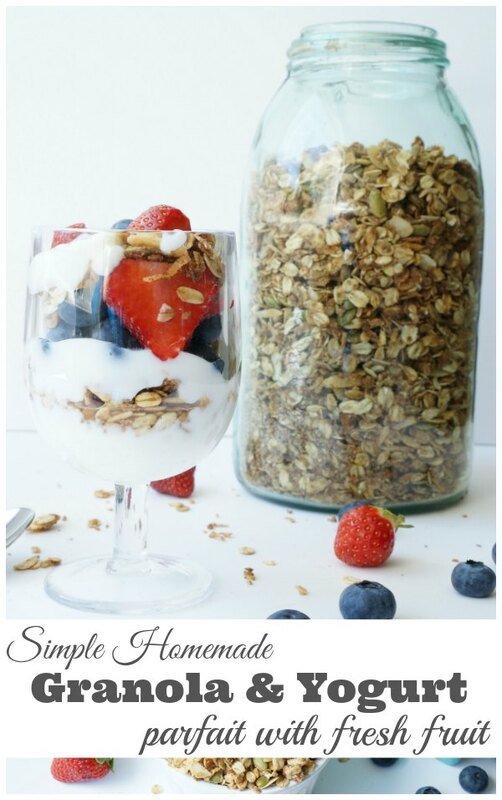 To make the parfait, layer the granola, seasonal fruits and yogurt in a tall glass or bowl. 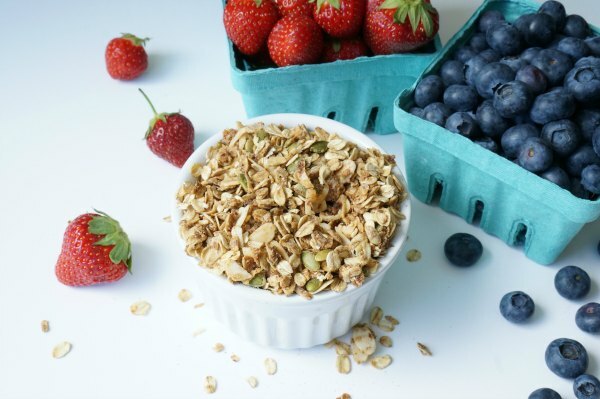 A simple, flavourful recipe for homemade granola and how to build a fresh fruit parfait. 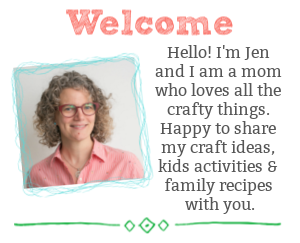 Today’s post was all about expanding the Food Revolution movement from one day to an entire year of healthy, simple recipes for families to make and enjoy at home. 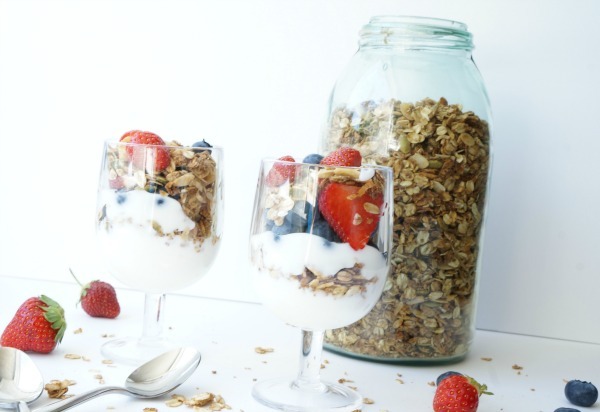 Our homemade granola and yogurt parfaits are our twist on chef Jamie Oliver’s DIY Oaty Fruity Cereal recipe. Be sure to check out Jamie Oliver’s 10 Food Revolution recipes and see what twists your family might make on these classic recipes.